Buying a lipstick is such a tough job ladies, isn’t it? We all get carried off by the amount of colours available in the market.However a shade that looks breathtaking on a magazine cover may not look the same on you. Hence it is important to understand what color goes well with your skin tone. Also the shades that looks good in the morning may look different at night. If you are a beginner then go for the shades that will enhance your look. Go for shades that are darker or brighter than the original colour of your lips. A person with warm skin tone has yellow, golden, or olive hue. You can tell your undertone is warm if the veins in your wrist look green.Ladies having warm skin tones should look for colors like caramels, orange or tango.That is Lipstick that gives orange or yellow undertones goes well. 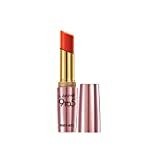 A rich pigment that is just the right mix of red and orange, plus sculpts your lips too. A person with cool skin tone has pink, red, or bluish hue. An easy way to check is by looking at your veins,if it has more of blue then you will fall into this category. For cooler skin tones, go for bluish and pink undertones. A red lipstick with a dash of pink is just the right choice for you. For daytime Vibrant Coral shade with Matte finish will be a good choice.So next time when you go for shopping steer away from orangey shades and veer more toward deep-bluish reds. Perfect for a party look, plus it has a cremesheen finish. Bought to you from the Lakme Classics range, Indias leading lipstick range - The Lakme Enrich Satin Lip Color keeps your lips satin soft, vibrant and lasts long. With 26 new shades added to the existing and exciting trendy range of colors, it now makes a total of 70 brilliant shades to suit all skin tones. One of Lakme most popular and mainstay classic lipstick range, Lakme Enrich Satin lipsticks are back in a whole new avatar. Designed to match every Indian skin tone our Lakme Enrich Satin Lipsticks continue to keep your lips moisturized & satin soft, with vibrant & long-lasting Color. One coat and your are set to go! So pick Lakme Enrich Satins lip color in your favourite shade, Now!Features and Beneifts of the Lakme Enrich Satin Lip Color :Available in vibrant shades suitable for Indian skin tone.Range of 70 trendy shades across a wide color paletteHigh color delivery.Enriched with olive extracts and Vitamin E.How to use the Lakme Enrich Satin Lip ColorStep 1: Stretch the lips and start at the centre, putting on the lipstick to the corners.Step 2: Blot the lipstick with a tissue. Make sure the lipstick has not smudged over the line of your lips. A deep, beautiful colour in semi-matte for all those who are obsessed with reds. Go crazy and pick the color you want. A wide spectrum of colors typically tend to complement your skin. we would suggest you to go for cherry , pink and red shades. You can easily get a bold look without thinking twice. 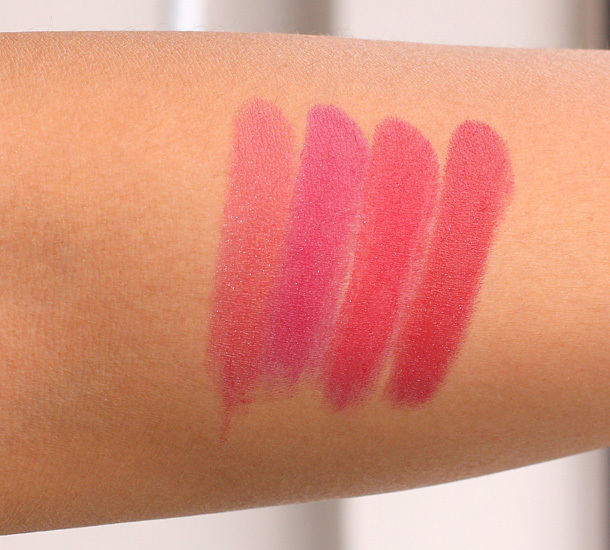 Go for Neon Red or Maroon color if you want all the attention to be on your lips. For the evenings you want to keep it simple and to the point. If you want to keep your lips looking beautiful and radiant all day long, then this shade of pink lipstick from Lakme is a must-have in your make-up kit. With this 9 to 5 Matte Lip Color, you won't need touch-ups throughout the day. 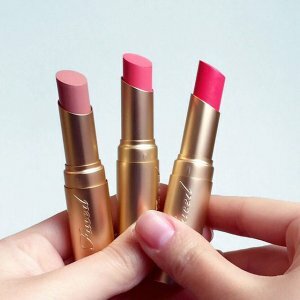 Enriched with Vitamin E and Wheat Germ Oil Enriched with the goodness of vitamin E and wheat germ oil, this lipstick conditions and softens your lips. The wheat germ oil leaves your lips hydrated all day by providing intense moisturization. This lip colour is easy to apply and will not only keep your lips moisturized and nourished, but will also give them a matte finish. *While testing shades apply it on your lips under direct natural light.Your palm is another good place to test it. * You can make any shade by blending two similar shades.Mix proportionately to get the shade that suits you. * Enhance the staying power of the lip color by applying lip balm. Now you are good to go. Pick out the perfect shade that will match you skin tone.If you liked this article, share your feedback with us in the comments section below.